﻿ Best Price on The Golf Suites in Punta Cana + Reviews! Located in the heart of Bavaro, Punta, on the east coast of the Dominican Republic, this hotel offers luxurious suites furnished all the comforts of home in an unrivaled and beautiful natural environment. The Golf Suites are located on the exclusive Cocotal Golf and Country Club Golf Course, offering guests world-class golfing. Also located close to the property are shopping centers, gourmet restaurants and endless recreational activities. The hotel is 12 mi from Punta Cana International Airport. 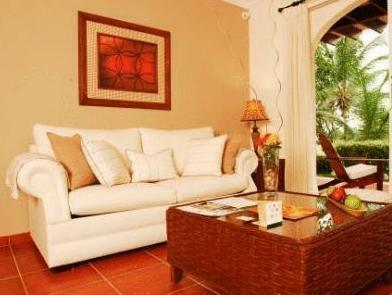 While staying at The Golf Suites, guests can enjoy the La Terraza Restaurant, El Coco Mini Market and a Cafeteria. 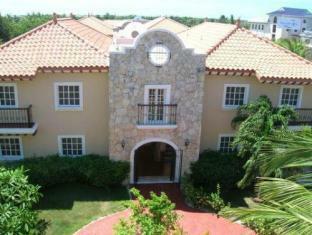 There are also equipped kitchens and a spacious swimming pool overlooking the golf course. Great location: right in front of Hard Rock Cafe. A bit isolated. No direct beach access. No dialing outside the hotel. Useless staff. The unit, a one-bedroom apartment on a second floor in my case, is really beautiful and in great general state and condition. When I made the reservation for this hotel I did it based on price, which is acceptable, AND based on the pictures showing a beach. Yes, the beach is there, somewhere, after all this is the Punta Cana area, but the hotel does not have direct access. The worst part is the staff (and by "staff" I'm referring to the reservation/sales/front desk people and NOT to the other hotel workers, such as maintenance, housekeeping, etc., who, otherwise, were great). First of all they did not honor my request saying that I needed TWO beds (we were two people who did not share beds). They didn't change me to a two-bed unit. I spent my vacation sleeping on a roll-out couch. There was not a single attempt to inform the guest about amenities, restaurants, places to go, things to do, etc. Everything had to be asked. They didn't even provide a map of the Bavaro area (you actually need one), so we were practically driving around not knowing where to go or what to do. Except for the positive points I mentioned above, the rest was a disappointment.